A 17th century building, which is believed to have provided an early form of surround-sound, was opened for the first time in more than 30 years at the National Trust’s Cliveden Estate in Buckinghamshire. The domed structure is thought to have been built in the 1660s by the 2nd Duke of Buckingham as a space from which live music would be played. The music would emanate up through the roof to the elegant South Terrace and out on to the connecting lawn to entertain his guests. 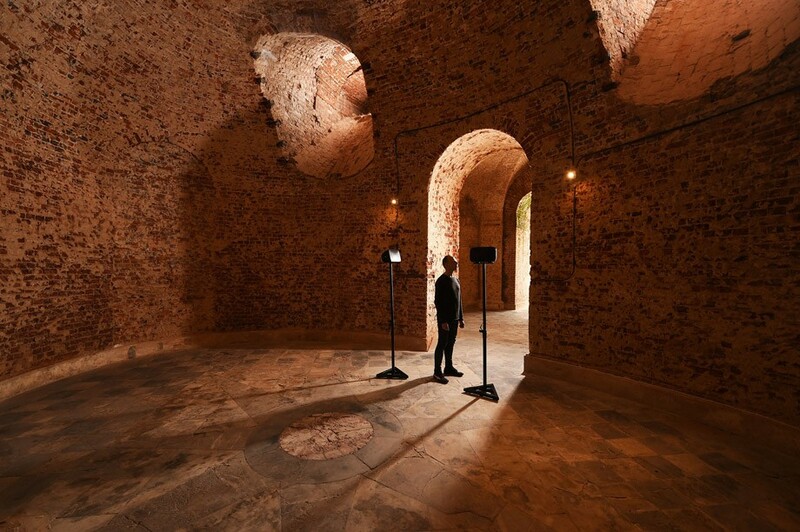 Now known as the ‘sounding chamber’, the space was brought to life for 21st century visitors by contemporary sound artist Scanner who has devised an audio installation inspired by the many colourful stories of Cliveden’s past. With extracts of Baroque music reflecting Cliveden’s Georgian era and soundbites of news reports on the infamous Profumo affair from the 1960s, the recordings reflected Cliveden’s extensive history over its 350 years as a grand estate.